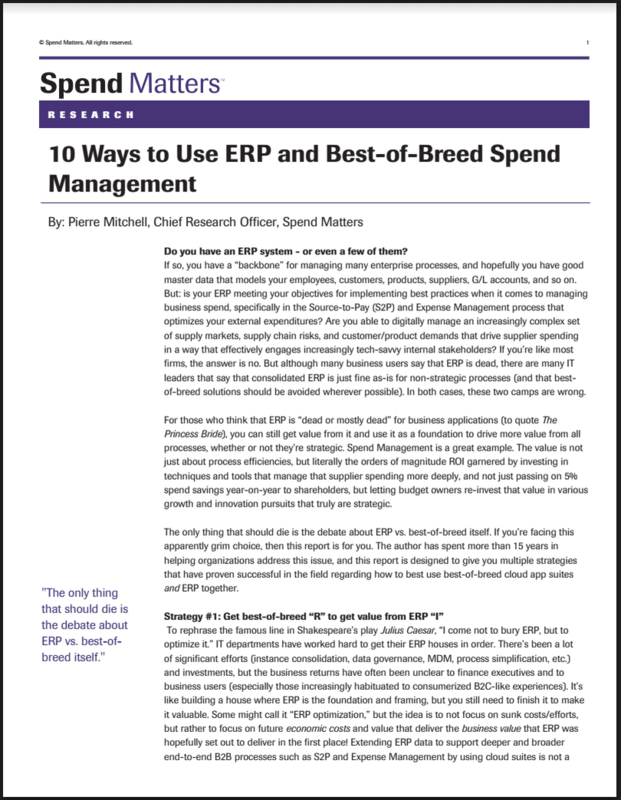 Is your ERP meeting your objectives for implementing best practices when it comes to managing business spend? Are you able to digitally manage an increasingly complex set of supply markets, supply chain risks, and customer/product demands that drive supplier spending in a way that effectively engages increasingly tech-savvy internal stakeholders? If you’re like most companies, the answer is no. Complete this form to receive your complimentary copy today!